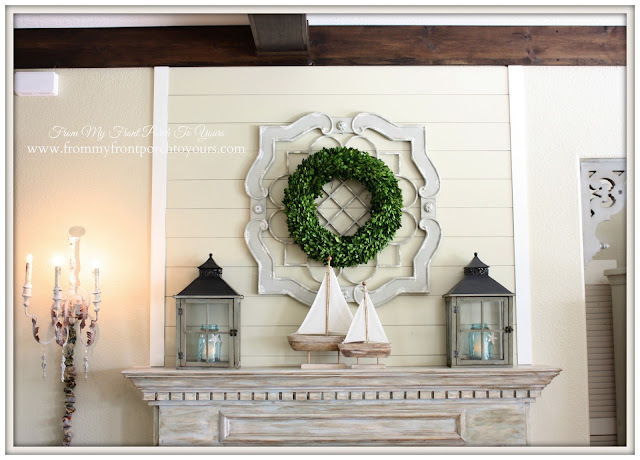 Today I thought that I would share with y'all a simple summer mantel I created. I used some of the same items that I normally use on our mantel. You do not have to change something completely out to give it a fresh new look. 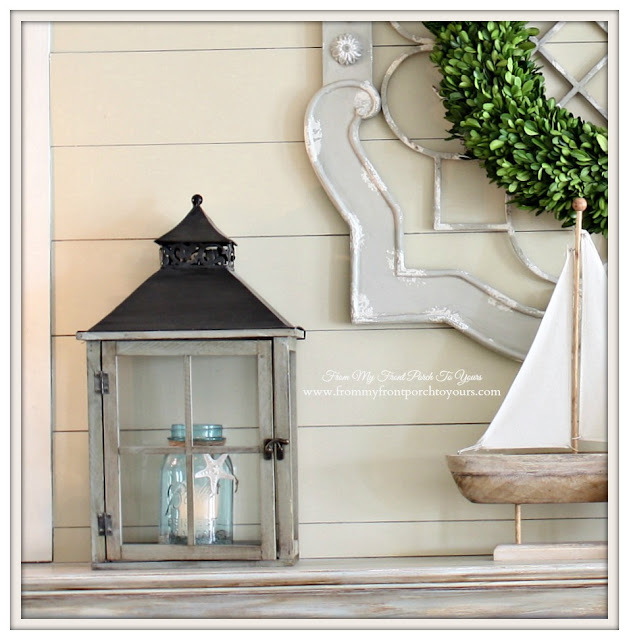 I thought that I would carry the nautical sail boat theme from the dining room into the living room as well. I enjoy using these lanterns on our mantel. 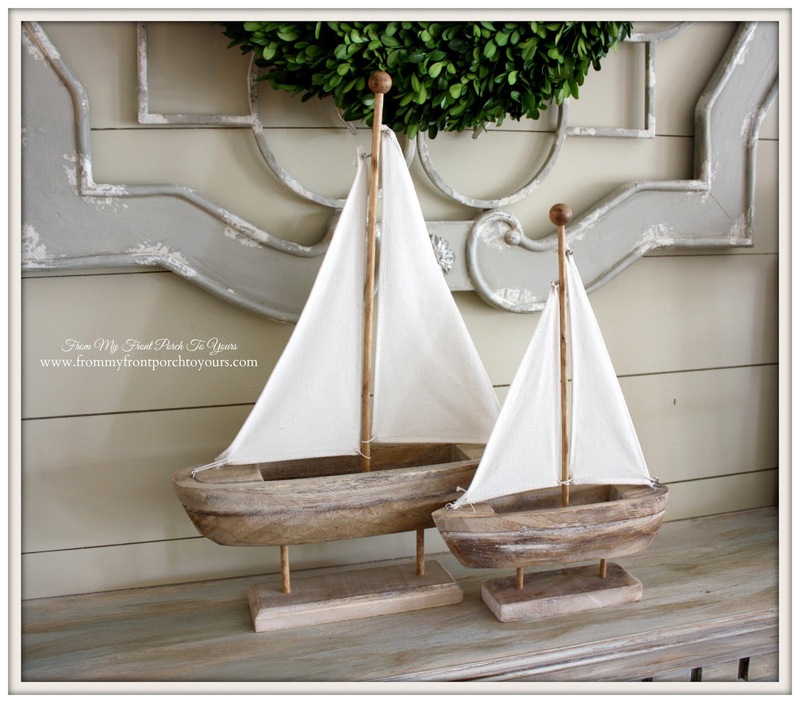 My favorite addition are these neutral sailboats. Thank you for stopping by today to visit! 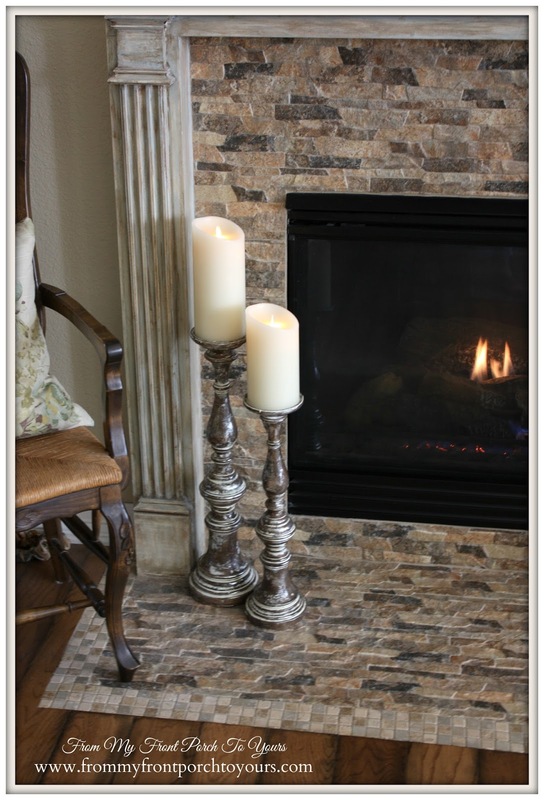 Before I go I thought that I would share the source list for the items I used to create this vignette. I included the links to items I could find online. Just click the blue. It has a really nice neutral look. So pretty! 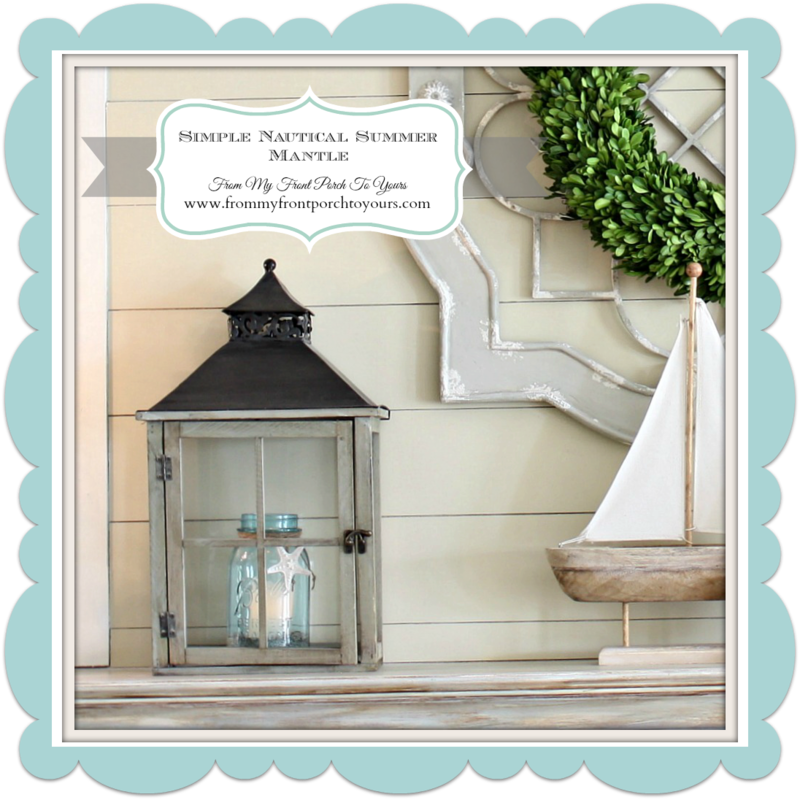 Love the lanterns and the boats, uncluttered and so calming! So pretty!! A relaxed and summer look for sure. That is gorgeous! I want to move in and sit by a warm fire. Love the simple but elegant look. 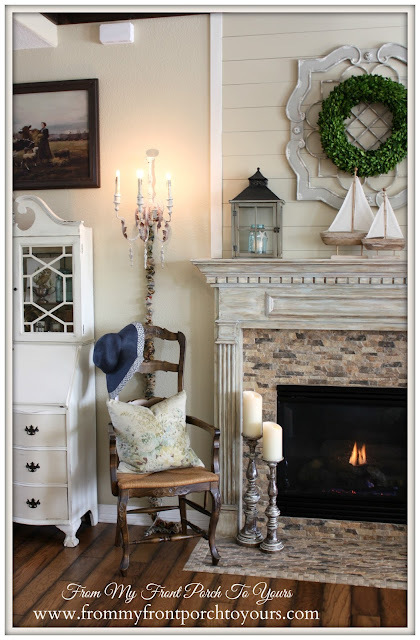 Pamela, The sailboats are so cute and I love your nautical mantle. I love your summer mantel, Pamela. Those sailboats are just too cute. 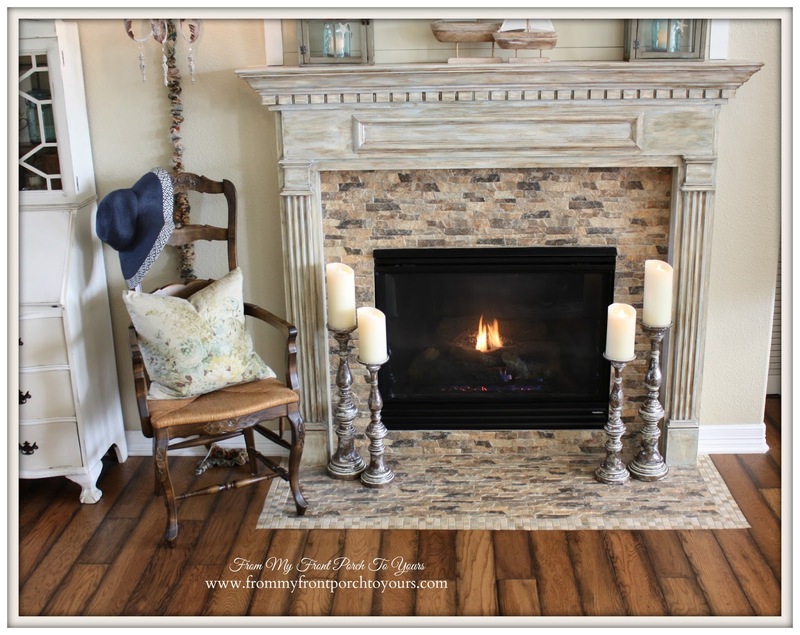 There's such a peacefulness and feeling of calm surrounding your mantel. Love your summer mantel Pamela. It really looks so pretty. Love that mantel candelabra light you have on the wall too. It is all so sweet for summer. It's perfect Pamela! Love your hat on the chair. You know I love this girl! Those sailboats are adorable. I especially love the mason jars with starfish in the lanterns. What a great look! I absolutely love it Pam! It's simple and tasteful! Gorgeous! I love the wreath, the boats are adorable and the lanterns. Beautiful Pamela ! Love the sailboats and the lanterns! Love it Pamela....you may call it simple, but it surely makes a great statement....and I love the symmetry. Has to be one of my favorites this summer!...Beautiful...love all of the various elements and textures! The sailboats are adorable. 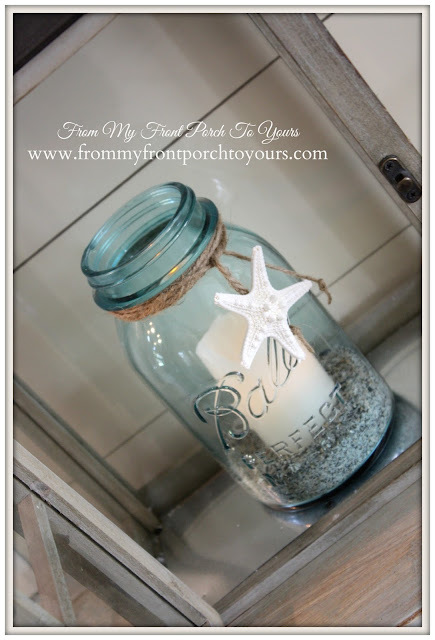 I love the mason jars in the lanterns. The decorations on them are so cute. Very Nice...love it all Pamela! Looks great Pamela! I love the two lanterns. I have one that I love but now wish I would have bought two to copy your look. 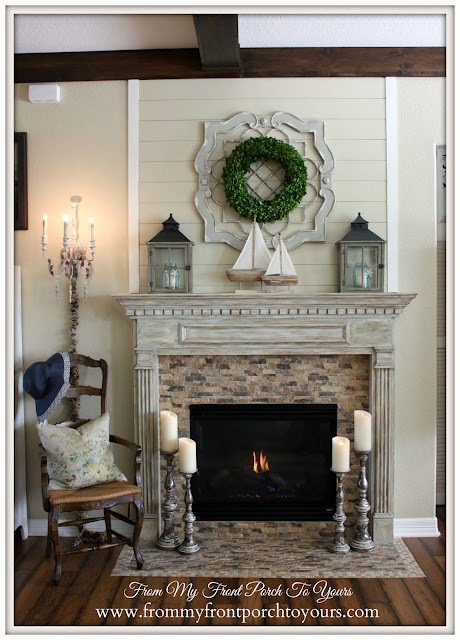 You do a nice job with mantels. Love your summer mantel Pamela, especially those pretty sailboats! That is looking good, Pamela. Love the lanterns with the sailboats.